Congressional investigator promises bigger revelations in VA health care scandal. 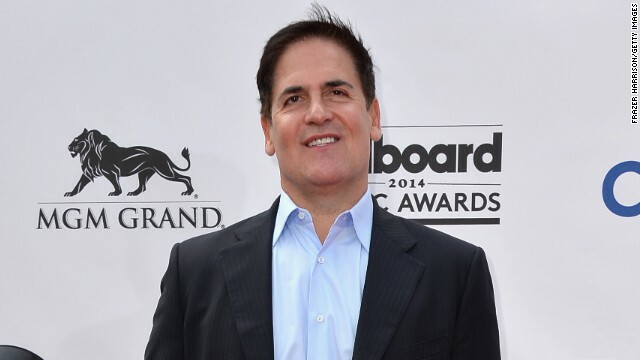 Mark Cuban stirs up controversy in trying to explain prejudice. And this week's tally on food recalls grows to 2 million pounds. Tip of the iceberg: The current allegations of delayed care and cooked books at Veterans Affairs health care facilities are going to look like "kindergarten stuff" compared to what's coming, according to the head of a congressional committee investigating the scandal. Yesterday, Rep. Jeff Miller said more serious developments are on the way as they look into allegations of alarming shortcomings that have had deadly consequences. Travel ban: The Thai military on Friday tightened its grip on the politically unstable Southeast Asian nation, banning more than 150 prominent figures from leaving the country and threatening to arrest leaders who disobey its orders. Former Prime Minister Yingluck Shinawatra was among those who reported to the military junta a day after it seized power in a coup after months of turmoil. Dealing with prejudice: Another NBA owner is getting used to the taste of his own foot. In trying to make a point about everyone's prejudices, Dallas Mavericks owner Mark Cuban created an uproar with the hoodie and the tattoo crowd, saying he would cross the street to avoid a black kid wearing a hoodie or a bald white guy with tattoos all over his face. Lots of folks weren't amused. Nuclear site: Security forces struggled to respond to a "terrorist infiltration" during a scheduled test. Bottom line: They ended up failing miserably, according to an internal investigation. The report found that the Air Force team may not have been able "to prevent theft, damage, sabotage, destruction or detonation of a nuclear weapon." Beef, sprouts and hummus: This has been a big week for food product recalls and the risk of food borne illness. Add it all up and it's more than 2 million pounds of ground beef, raw clover sprouts, hummus and walnuts. –Props to the cop: An Eau Claire, Wisconsin, police officer stops traffic for mama duck and her babies. - Doggy gym: This is how Fido keeps fit. - Global Selfie: For Earth Day this year, NASA invited people from around the world to step outside to take a selfie and share it with the world on social media. Yesterday, NASA released the results - a new view of our home planet created entirely from those photos. - Cat trance: Fluffy seems to be digging the guitar solo. - Snaky situation: At a Philippines zoo, you can be massaged by 20-foot Burmese pythons. Don't worry, the snakes are fed before working their muscular magic. The Earth Day global selfie is beautiful.The Eau Claire,Wisconsin police officer stopping traffic for a mother duck and her babies is precious.OMG!!!!!!!! REALLY!!!!!!!! WOW!!!!!!!! Who in their " RIGHT" mind gets a massage by 20 foot pythons? It doesn't matter if they were fed before working their muscular magic.Was dessert included? Saved the trash for last. Mark Cuban trying to explain prejudice with prejudice. Really? More waste filtering through the bowels of the NBA sewer. Have a nice weekend. Nope, he was honest. The sooner we accept that everyone is a racist to some degree, instead of trying to pretend that racism is dead, the better off we will be as a society. What he said is EXACTLY what most white males would say too. If its horrifying to you, then he did his job. I don't always agree with Mark Cuban, but he nailed it this time. I am horified that you posted a video of what appears to be a training facility for pit bulls. I can ony imagine this training is to prepare these dogs for dogfighting. C. Walker – there is not a single pitbull in that video. They're various bulldogs. English, american and it looks like a single frenchie. None of those would be used for fighting.